Hardcover Highlight this week might be a little controversial. 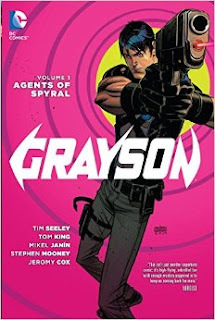 I'm going to pick Grayson: Agent of Spyral over the umpteenth re-issue of the Dark Knight Returns. I feel like Grayson might be a guilty pleasure series but I'm curious all the same. I've been really enjoying the re-prints of Mike Grell's defining run on Green Arrow. 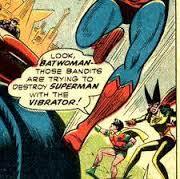 These books, I think, informed the tone of the CW show as they're very much a product of the gritty, down and dirty, post-Dark Knight 80's comic book landscape. Those who don't enjoy the uber-serious 80's probably won't be converted by these books. But for those who can enjoy that sort of thing these books should be all ready be in your collection. I haven't actually read any of Charles Soule's run on Swamp Thing yet but if it's anything like Scott Snyder's run it should be quite good. I like the idea of a cult, or sorts, that worship the Green. Somehow they offer to turn Alec human again but he struggles with the decision because no one knows what will happen to the Green once he's gone. I'm intrigued.